To Rent or Not To Rent a Drone, That is the Question! Hiring for drone services and commercial drone use is set to be one of the most explosive markets in the coming years according to Fortune’s Clay Dillow. Primarily this is because the cost of acquiring aerial imagery and data has reduced by 10x and more by some estimates. These flying sensors offers real value to various business sectors and it’s not simply related to cost.There are a ton of drone services business models and one slightly overlooked allows individuals to rent a drone, simple enough right? 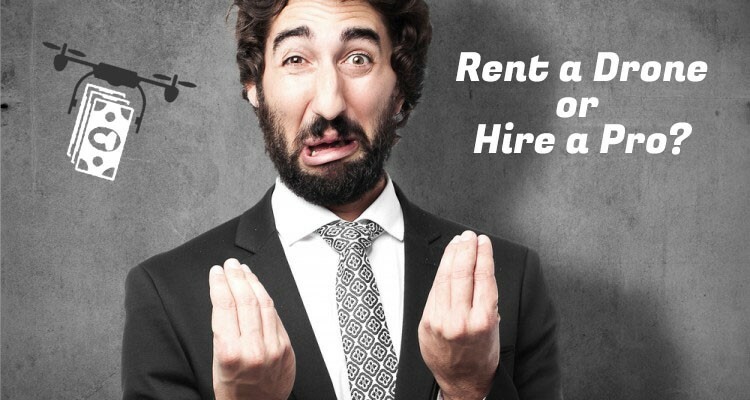 Drone rentals “can” offer real value but are they worth the risk to both the renter and to the companies providing the drone for hire? First, let’s consider the various models out there that fill the drone services sector to understand if renting a drone in the context of what else is out there makes sense. Who are the players in the drone services sector? These are the basic “see a niche” where services can be provided and fill it, the doers in the crowd. They have recognized the power of aerial imagery and data and are looking to capitalize on this innovation to provide relatively low cost images and data. No longer does one have to rent a helicopter to get great cinematographic imagery, i.e., this is a real boon to the film industry to be sure. Picture that gorgeous car speeding beautifully along highway #1 on California’s west coast, an ad that we’ve all seen 1000 times. 5-10 years ago that commercial demanded a hefty sum. Now ad agencies and film companies don’t have to higher helicopters they can simply opt for a drone to get the same footage and more for a fraction. Other sectors reaping the benefit of low cost easy access to aerial imagery are agriculture, construction, energy and mining. Imagine for a second that growers can not only monitor stress and field uniformity and a myriad of other variables but now with the aid of various software management tools can determine precise fertilization requirements throughout individual crops adjust these application rates as required and feed this data into their farm equipment. Possible? Yes and the implications to yield and profit are obvious. What might not be so obvious is they will be able to restrict fertilizer use as well as augmenting it resulting in better environmental practice and costs savings. Increasing yield, protecting the environment and saving money, sounds like a recipe for success. Companies like Recon Aerial Media and others like it are here to stay, the only difference is the focus and level of sophistication. There are literally hundreds more drone market places that connect drone contractors to clients and it seems like a new one pops up every day. It’s certainly not a new concept having first cut it’s teeth via the likes of Freelancer, Odesk and others and though each connector trys to put their own spin on it most are exactly the same, a drone marketplace where people and businesses who might like to hire for drone services can find more or less qualified drones and pilots. This market place is aimed squarely at individuals who might like great wedding shots to small and medium size enterprises who don’t want the expense or hassle, since there are definitely risk and legal considerations in almost every jurisdiction as soon as you attach “commercial drone services” to the bill. Though few and far between and requiring an incredible amount of work drone franchises are a credible option and are gaining momentum. 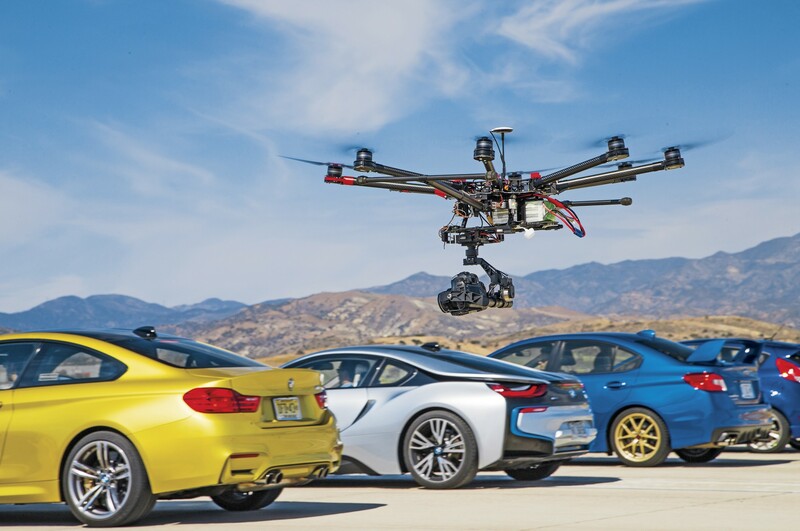 Recon Aerial Media is building out its drone franchise service offering among others. Like any other franchise the idea here is to provide a system that allows the would be franchisee to get a head start by borrowing expertise. Since drone regulations, business processes and flight operations are highly structured drone services truly benefits from this structured franchise environment. A franchise system provides regularity and takes care of training requirement, insurance conditions, flight operations and the legal approvals required to fly and more. Ideally, drone franchise services allows the franchisee to focus on marketing with the assumption that the technical drudgery is managed by the franchiser. This can be a real boon to those looking to get out of the gates fast with their service offering. Data management tools are obviously not a drone service model or something one immediately considers when we think about the structure of drone service businesses within the industry. However, the discussion would not be complete without it. Drone services software and management tools provide the “actionable intelligence” as it’s often referred to, a catchy phrase that means “info we can use to make better decisions”. This info is the reason we are flying in the first place. Yes, drones are cool but let’s not lose track of the fact these flying sensors are meant to provide two things, imagery and data. It’s the interpretation of this data, what it tells us and what it adds to any business that is fundamental and will make or break any drone service offering, drone rental or otherwise. Innovation in software solutions that support these flying sensors is where the value proposition sits. 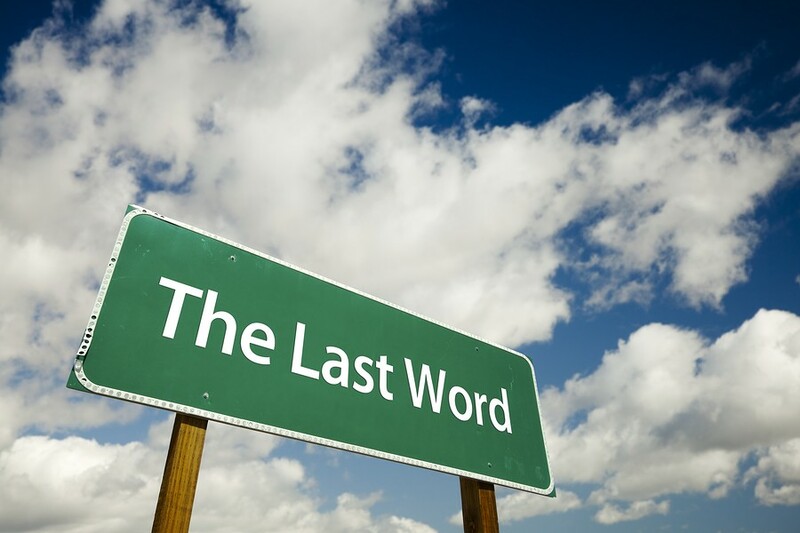 The increasingly powerful drone management software tools like Agisoft, Drone Deploy, Pix4d, DataMapper are moving the goal posts weekly it seems. It’s the interpretation and software management by industry specialists that shoots the first and probably the last shot across the bow of those who might like to rent a drone rather than opt for a credible service provider. Businesses may like the idea of hiring a drone but in reality the pilots are not just pilots. Companies like Recon Aerial Media, though not experts in every aspect provide considerable value to the equation. Not only do they have the right drone for the right job but also by understanding the industries in which they work. These specialists ensure that the data, what comes out the pipe at the end is something that can actually be used. Understanding the capabilities the equipment and the myriad of software management tools out there as well as the actual information that can be provided and both what is possible and NOT possible is truly where the value starts and stops; at least until the advent of AI. Back to the point: Companies who will rent a drone to individuals will also rent or lease drones to companies so there are two facets to this business. Broadly we can say drone rental covers both recreational and commercial drone services. However, the kits and prices on offer seem to suggest that those who rent a drone are doing so for business purposes. There a many drone rental companies like Blue Sky Drone Rental, Eye in the Sky Rentals, Drone Rental Supply and Expert Drones among others that specialize. 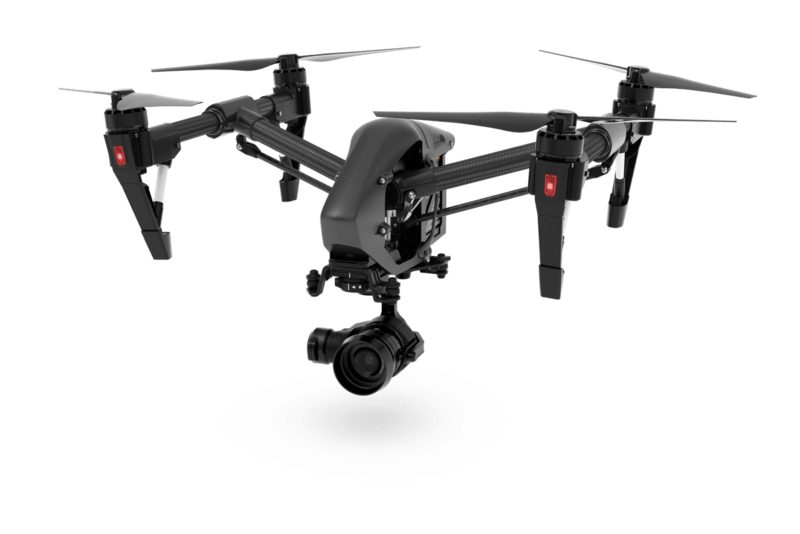 There are also just as many high tech and camera rental outfits like KitSplit, Camera Lends, Camera Lens Rentals who have now added “rent a drone” options to their equipment lists. Businesses choose to do this mainly to augment their knowledge base in some way that allows them to either save time or money. But do they really? There is no small amount of risk for companies who might like to rent a drone to fly commercially. Drone rental comes with risks to public and personal safety, property, the drone itself and with considerable legal risk. There are legal risk between the renter and company renting a drone should things go south. Also and importantly in both in the US and Canada it is illegal to fly without either a FAA333 exemption (US) or a Special Flight Operations Certificate (Canada). Let’s also not forget the cost of commercial business insurance that is required by law $700-$3000 (Canada). Renting a drone may sound like a great idea to quickly get the data or images that a business might need but it should be carefully considered. Though soliciting services from drone service providers is not without its risk. However, if the service provider is legit and has followed industry best practices the risk is naturally lower since these companies are heavily invested. Whether the pilots and companies are in the US or Canada the risk of hiring a drone services contractor is often much lower than renting a drone. It’s good to keep in mind that risk itself is only one of the factors at play here. Many service providers are simply tech nerds, the love what they do and can bring immense value and knowledge to nearly any project. Bottom line: As in many sectors there is always a trade off risk vs. cost. If you are comfortable with the risk inherent to renting a drone, the costs of doing so will naturally be lower than paying a well heeled service provider who has invested a ton time in developing solid safety standards and best business practices. We are hear to help! If you would like a free consultation regarding the approach that best suits your business sector and how drones may provide value to your business, please contact us!